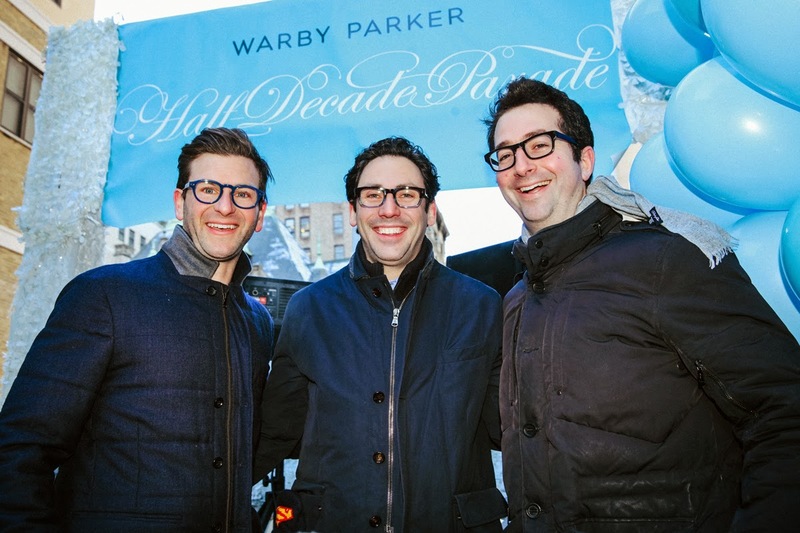 Warby Parker -- 5 Years and Lots to Celebrate!! 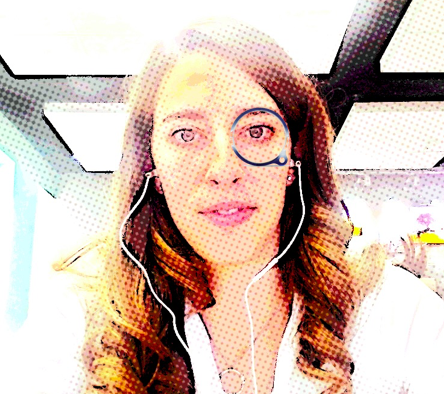 I was thrilled when Warby Parker asked me if I'd be interested in covering its newly released Half Decade collection!! Although I don't wear glasses myself, my husband is a Warby Parker customer and he and I were both involved in the selection process of his glasses. It took us two at-home try-on boxes to get it right, but the process is so simple and user-friendly that we didn't mind the wait. So, it's no wonder that Warby Parker has observed great success over the past five years! To start the party, Warby Parker employees hosted the "Biggest Smallest Parade Ever" in Manhattan. 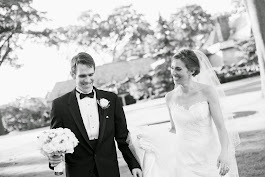 I hear it was awesome - you can check out some of the fun surprises here. At the event were David Gilboa, Neil Blumenthal, and Jeffrey Raider - three of the company's founders. But onto the exciting stuff... WP is launching a new collection today to celebrate its five year anniversary, and my favorite thing about it? The monocle, of course! The entire Half-Decade Collection includes a re-release of five and a half (ha, monocle!) designs from Warby Parker's first-ever collection, all featured in a limited-edition spectrum of its signature hue, blue. I do have to say, if I wore glasses, I'd be instantly attracted to blue frames. Wearing just a blue shirt makes my blue eyes pop, I can only imagine what blue glasses would do! In the parade photo above, you can see David Gilboa wearing the new Fillmore, Neil Blumenthal in the Huxley, and I believe that Jeff is in his usual glasses, though the frames seem reminiscent of the Roosevelt, without the lighter bottom half on the frame. You can check out the entire collection on the prescription eyeglasses page! So, congrats to Warby Parker on its five years of success! I'm loving your new collection and I have no doubt that others will too. Cheers! Day number two is not a big time commitment. The work involves combining the butter block and the dough. This day is integral to the light, flaky layers within the cronut. The first 20x20 square I rolled out was not quite a square. But the second 20x20 square I rolled out was a bit more successful. The difference was the placement of the rolling pin. On the second square, I made sure that the rolling pin always overlapped the edge of the dough. (Does this make sense?) Previously when I rolled the dough there was about one inch of dough outside the end of the rolling pin, that led to edges that were not straight. The second time I made sure the rolling pin was outside the edge of dough which helped maintain the square shape. I made an infographic, below, to illustrate what I'm talking about. 'Tis the season for cronut-making adventures! Once I learned the recipe was published, I knew this would be an activity I undertook at the start of my winter break. Especially since my attempt to buy a cronut at Dominique Ansel Bakery this past summer was a "failure". And, I put that in quotes because although they were sold out of cronuts, the bakery recommended the DKA which blew my mind! The first day of making cronuts is not overwhelming, at all. Throughout the process, I referenced Dominique Ansel's recipe published on the ABC News website. It's really important to read the recipe thoroughly, multiple times, before starting the process because it is a very detailed process/commitment. Let the #cronut making commence!! The first day involves creating the dough and shaping the butter block. I recorded part of the process in my video feature below!! I also made the ganache for my cronuts. I opted to go for the Champagne-Chocolate ganache & glaze, with the orange-sugar for rolling. I chose this as the ganache because it was the only one that did not have gelatin in the recipe. Not that I'm opposed to gelatin, but how do you say no to Champagne?! Have you made cronuts? Or, have you had an infamous cronut?! I'd love to know what you thought... please leave your comments below. I love this recipe! I first had it on my first night in Rome at the start of my semester abroad in college. The pasta and sauce were homemade, so this recipes requires some commitment as it takes a bit of time to complete! I got my pasta recipe from the KitchenAid pasta press manual. Jump to page 10 for the Basic Egg Noodle Pasta. I actually make this recipe in my Cuisinart food processor instead of in my KitchenAid mixer. Put 3 1/2 cups of sifted flour in the food processor, add 1 tsp salt, pulse to combine. Crack four large eggs into a measuring cup. Turn on your food processor and add the eggs. If the dough does not form into a ball slowly add in cold water, maximum 1 TBSP, until the dough collects into a ball on one side of the food processor. From here, knead the dough for about 30 seconds and pull out walnut-sized pieces of dough to drop into the pasta press. Follow instructions and guidance from the manual, in regards to speed, etc. "Sifted flour" is different "flour sifted". The first wants you to sift (or add air to) the flour and catch the flour below the sifter/strainer in your measuring cup. The latter, flour sifted, wants you to measure out the amount of flour then sift it to separate and add air to the flour. Place a wet paper towel underneath your cutting board to prevent the board from sliding across your countertops! The Amatriciana sauce is so tasty and so simple. I hope that you enjoy it as much as I do! Dice 1/2 pound of pancetta in strips. I like to ask the deli counter to slice the pancetta about 1/4" thick. Heat a dutch oven, or something similar with a heavy bottom, over low-medium with some EVOO in the bottom. Add in the pancetta and cook until it's toasty and brown. Pour in two 28 ounce cans of whole Italian San Marzano tomatoes. As these cook the tomatoes get soft and I like to go after everything with a potato masher to break up the tomatoes. Bring to a boil and then drop it to a simmer for at least one hour... the longer the better! Season with salt and adjust as you go along. To finish your pasta in the sauce, pull out 3-4 ladles of sauce and set aside. Remove the pasta from salted boiling water one minute early and add it to the pan of sauce. Add in 1/2 cup of grated parmigiano-reggiano and a swirl of EVOO, then stir to combine. Add any remaining sauce, as needed. Ross and I had a lovely Thanksgiving! 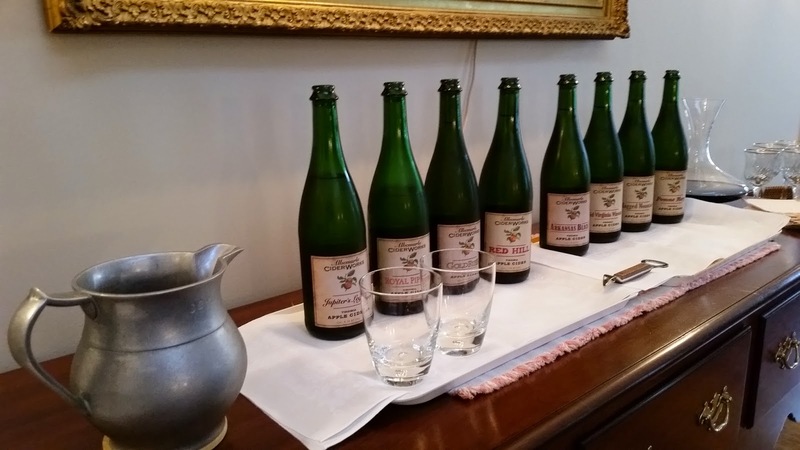 In addition to spending quality time with loved ones, stuffing ourselves with delicious food, and enjoying a few games of Cards Against Humanity, we got to enjoy a cider tasting from one of our favorite cideries (is that even a word? 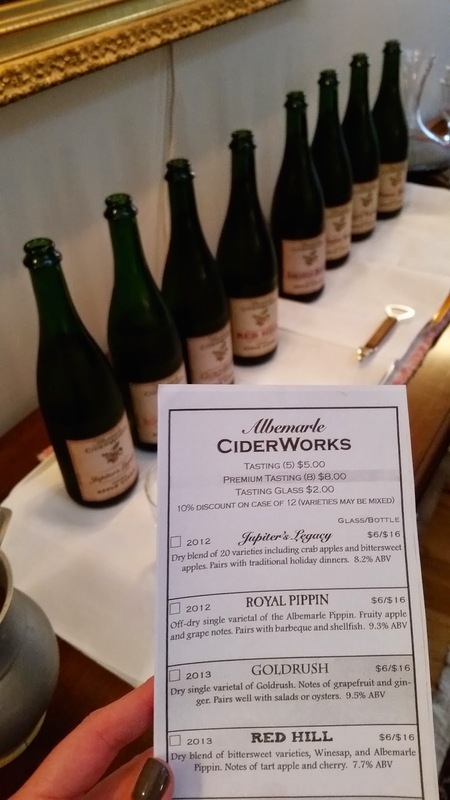 ), Albemarle Cider Works! We had the whole lot from Albemarle. It's hard to believe that just one year ago they only had four assortments. I'd like to point out that if you're thinking of Woodchuck or Strongbow in this post then you are quite misguided! This hard cider is tart and sparkly. It is not nearly as sweet as the mass distributed options you've seen around. Ross and I first tasted Albemarle Cider Works two (or was it three) years ago. We loved the unique flavor of these ciders. At the time our favorite was the Royal Pippin. Now, in the broader spectrum of ciders produced, we thought that the Royal Pippin was not as flavorful as some of the others, such as the Ragged Mountain - a group favorite this Thanksgiving! A cidery (I'm going to make this word happen!) recently opened in Austin. Ross and I are excited to try it out. Austin Eastciders looks promising and really caught my attention - especially given that it markets its product as "bittersweet" and "lightly carbonated". I'm quite intrigued and look forward to trying some soon. In addition to my post as sous chef and cider taster at Thanksgiving, I was given the task of folding the linen napkins. I try to take this opportunity to be really creative! 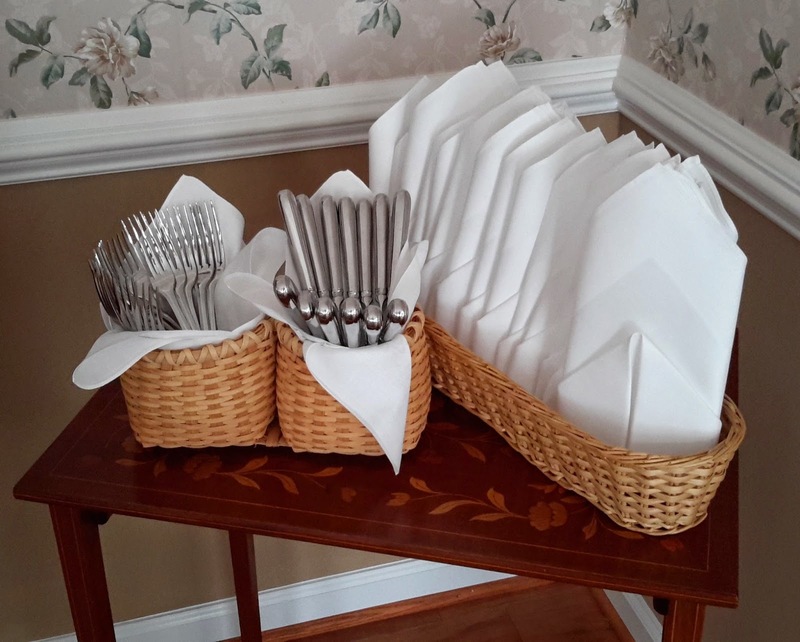 So, some research and I settled on a combination of the "Rosebud Napkin Fold" and "Crown Fold" courtesy of NapkinFoldingGuide.com. Didn't they come out super cute?! Patent Leather Shoes. 2014. Simple theme. Powered by Blogger.